I love testing home automation products; it's great fun to be able to control all sorts of devices from your iPhone or iPad, although there are still huge incompatibilities between the devices made by different manufacturers. Today I'm taking a look at the D-Link DSP-W110 Wi-Fi Smart Plug ($59.99 MSRP, available on Amazon for $29.91). Like most smart plugs I've tested, the DSP-W110 plugs into an existing three-prong socket and then provides a single grounded socket for the device you wish to control from an app. The DSP-W110 is a bit larger and heavier than some plugs I've tested, but on the other hand it feels sturdier than most. There's an external button on the front of the device for manually turning on power to your connected device, as well as a WPS button on the right side that becomes very important during setup. There's an app, of course, to control the device; the free "mydlink home" app looks good and is designed with easy setup in mind. That, as you'll find out in the next section, is the goal D-Link apparently had in mind. 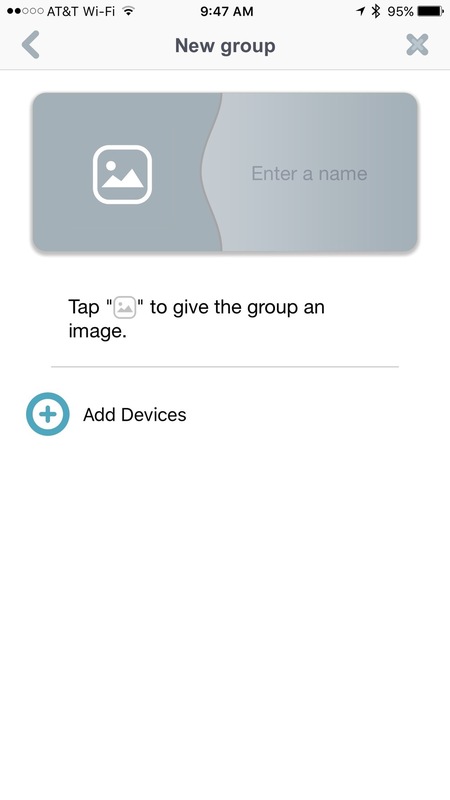 That app walks users through setup, then provides a way to control all devices both locally and remotely with a tap. Schedules can be set up for any smart plug, and D-Link even includes compatibility with both Amazon Echo and IFTTT. Part of the function section of every review I write deals with installation or setup, and in this case, I found the process to be incredibly difficult. It's not really D-Link's fault, but they could resolve the problem by adding a single sheet of paper in each box with instructions on how to set up the DSP-W110 with an AirPort Extreme or Express. The process with other WPS (Wi-Fi Protected Setup) devices is quite simple. You get a little card with each device that tells you to download the app, and once the app is running you tap a "plus" sign button to add a new device. The process has you point your iPhone camera at a QR code on the card, which then recognizes the type of device and its MAC address. So far, so good. You plug the device into the wall socket, and wait for a light to start blinking orange. No problem. For owners of Apple AirPort Extreme or Express routers, here's where the problem kicks in. The next step of the process asks the owner to press the WPS button on the router. There IS no such button on an AirPort. There is also a manual connection process, but I found it didn't work for me. After about 20 minutes of frustration I finally Googled "WPS setup on AirPort Extreme" and found an Apple support page that helped me figure out how to get the DSP-W110 connected to my network. It turns out that the AirPort does indeed support WPS, but -- in typical Apple fashion -- there's no external button to push on the router to add devices. Instead, it's all done through software -- the AirPort Utility to be precise. That's all it takes to add the DSP-W110 Smart Plug to an AirPort network, which is why I find it doubly frustrating that D-Link couldn't work that into its setup process for the smart plug. There are a lot of AirPort owners in the world, D-Link -- not everyone uses your routers. I also blame Apple for not making WPS setup more obvious. Once the DSP-W110 is on your network, it shows up in a list of "My Devices" in the app. With a tap on the name of the switch in the app, owners can turn power on and off, set up a schedule, or restore the device to factory defaults. As noted earlier, the DSP-W110 has IFTTT compatibility so recipes can be created to turn devices on or off depending on input from other apps. 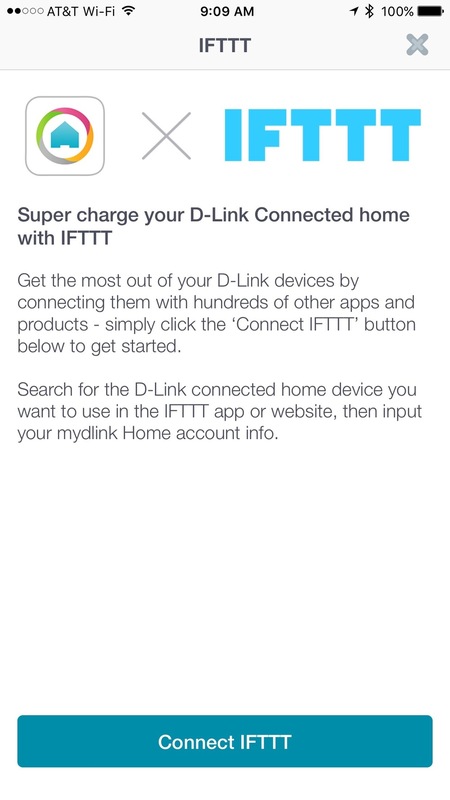 Connecting the Smart Plug to IFTTT is as simple as tapping the D-Link Smart Plug button in IFTTT, then entering D-Link account information when requested. 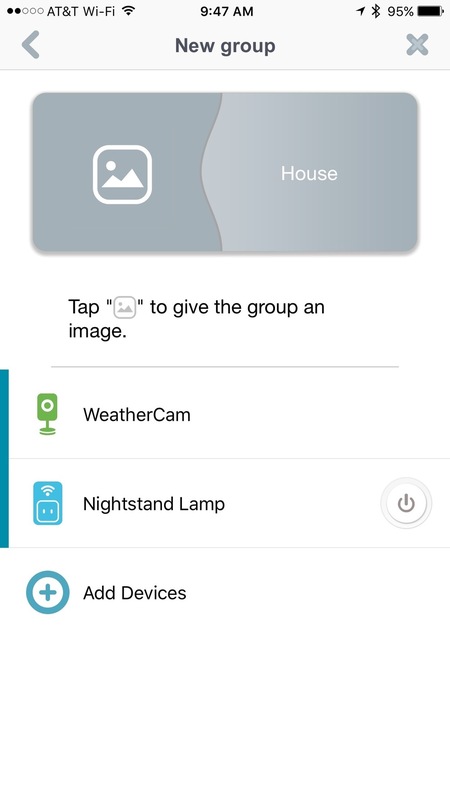 There are a number of good example recipes, including some that work with the Ring Wireless Doorbell, motion detectors from D-Link, the NetAtmo line of weather sensors, and with iOS geolocation features. I found the DSP-W110 to be very responsive; most smart plugs usually have a small lag between tapping a button on an iPhone and having a connected device turn on or off, but not with this device. With a tap, a connected lamp turned on and off instantaneously. The use of WPS for setup also makes the connected devices accessible from anywhere on the Internet -- that's not necessarily true with other smart plugs I've tested, some of which require a hub in order to provide remote access. One other complaint about the D-Link DSP-W110 -- it's not HomeKit-compatible, so Siri can't control your smart plugs. Unless you have all D-Link automation products in your home, you'll find yourself using several apps to control your world. However, D-Link has something a lot of other HomeKit-incompatible products don't provide: a way to set up "actions" and "places" to control groups of switches or sensors. The D-Link DSP-W110 Wi-Fi Smart Plug is inexpensive (less than $30 on Amazon), well-built, controllable from anywhere, and has impressive IFTTT compatibility. The negatives? Many AirPort router users may return the devices out of frustration if they don't follow the simple set of setup instructions I've included in this post. The lack of HomeKit compatibility is also a negative, but the powerful mydlink Home app more than makes up for that with the addition of HomeKit-like "actions" and "places" that can control many devices with a single tap.